Join us for an informative workshop with Mitsubishi to learn if a heat pump is right for you. Heat pumps use less energy than many other heating and cooling systems (such as electric baseboards or propane) making it possible to maintain a comfortable temperature in homes year-round, even in the coldest of climates, while saving money on heating and cooling costs. Free lunch will be provided and sessions are tailored to either members or contractors. Morning session (contractors): 7:30 – 9 a.m. Afternoon Session (members): 5:30 – 7 p.m. Morning session - (Contractors): 7:30 - 9 a.m. Afternoon session - (Members): 5:30 - 7 p.m.
Once only for mild climates, heat pumps are now an effective option for all! Heating your home is not an easy, or cheap, feat. 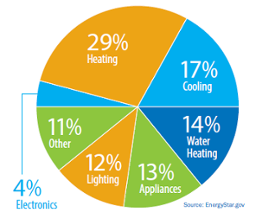 According to the US Government, space heating in a home accounts for 29% of yearly energy bills. In rural communities of Colorado, this translates to 4.1% of our annual incomes. Here in our cold, intense winter climate, we typically stick with the status quo of furnaces or baseboard heating. But there is an emerging technology in town that can save you money and keep you comfortable! 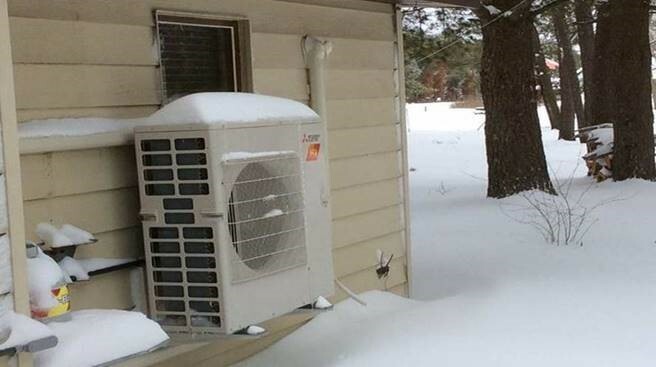 Cold Climate Air-Source Heat Pumps are now a fantastic option for our mountain climates, and there are rebates available so you can save even more. Average Cost: Average cost is around $2,000 per unit. Average Savings: This can reduce your bills by up to 40%, when compared to electric-baseboard heating. Other Benefits: If switching from natural gas heating, this may not save you money but it will reduce your carbon emissions! When paired with solar energy, it could potentially make your home net-zero. Heat pumps work by pulling heat from the air and putting it where you want it. That means it can work to cool the inside of your home during summer months as well! They move heat, rather than create it.